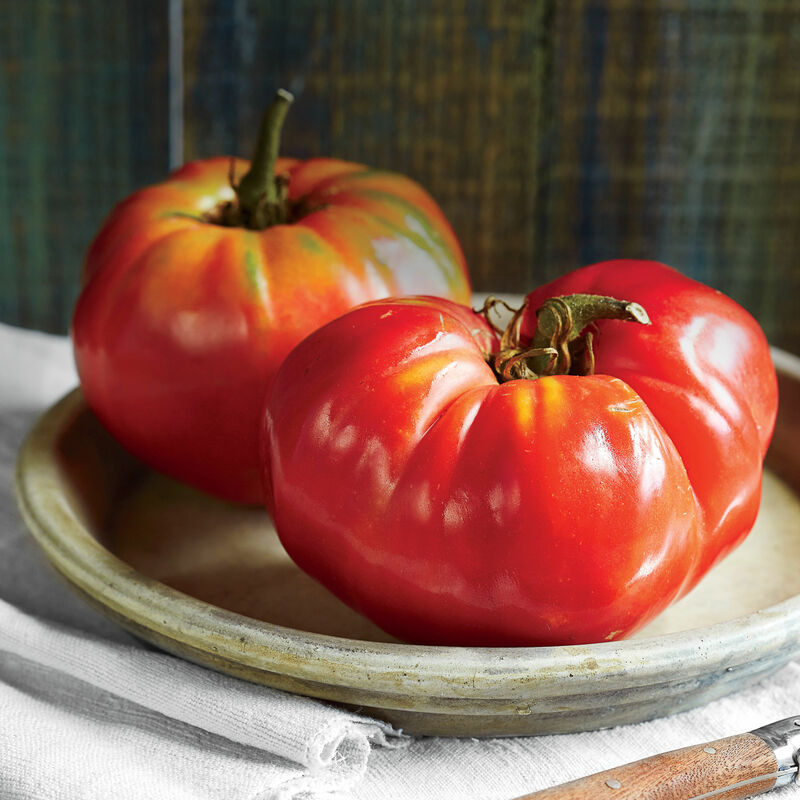 Incorporate ripe, juicy tomatoes into your everyday meals with these fresh ideas. Tomatoes are a fresh taste of summer, and these tomato recipes will give you new ideas on the wonderful ways to use them. Whether your tomatoes are red or green, plum or heirloom, what matters the most about tomatoes is how you use them. To enjoy one of the easiest tomato recipes start your fire for the Grilled Tomatoes with Basil Vinaigrette. With any remaining fresh yellow tomatoes, you can make the Two Tomato Linguine. The Tomato-Egg Sandwiches are also proof of how tasty fresh tomatoes truly are, pairing them with a ranch-cream cheese spread. Or, go big with the Over-the-Top Tomato Sandwich. For something truly summery, enjoy the Tomato-Watermelon Sorbet—a frozen treat. However you squeeze it, these fabulous tomato recipes are fresh takes on this wonderful taste of summer. According to the Southern Living Test Kitchen, you should always use a serrated knife to cut a tomato because it cuts through the tomato's skin without damaging the flesh and losing juice. Knowing this simple trick lets you start every tomato sandwich with the perfect slice. Cucumbers, onion, dill, and mint make up the core of this delicious spread, and the tomatoes are simply the embodiment of the season. These savory sandwiches are great for a casual summer cocktail party. Just slice in half to make handling just a bit easier—especially if guests are also juggling a cocktail glass. The stars of this dish are the seasonal vegetables, but the secret is the thinly sliced chile. Just as the tomatoes and cucumbers are bringing in the crunchy sensations of the cool and the sweet, a serrano or jalapeño chile slice sneaks in to add a little bit of heat. The vinaigrette is made with salty soy sauce, but before serving, sprinkle a pinch of flaky sea salt to add texture to the fresh tomatoes. This is probably the easiest side dish you'll come across this summer, but don't let its ease fool you because it is absolutely packed with fresh, seasonal flavor. With only three ingredients, this quick-fix supper recipe couldn't be easier to whip together. Start with 8 ounces of cooked pasta, and then stir in Mouthwatering Marinated Tomatoes—a mix of assorted tomatoes, garlic, shallots, red wine vinegar, and fresh herbs—with the desired amount of vinaigrette. As the finishing touch, toss in half-a-cup of small mozzarella balls. Given that as long as you have your marinated tomatoes on-hand you can go from pot to plate in only 20 minutes, you'll be amazed with how quickly this fresh dinner recipe comes together. The smoky flavor of the Charred Tomato Relish is delicious on just about anything you grill: chicken, fish, or even thick slices of country bread. You'll start by charring the tomatoes, giving them their incredible depth and taste. We love it paired with perfectly cooked grilled flat iron steak. Flat iron steak can be a tougher cut, so it works well when it is cooked to medium rare, leaving it juicy and succulent. Also, be sure to slice the meat against the grain to get the most tender results. Spoon tomato relish over the top. What sandwich could you love more than a BLT? This salad version takes off the toast and makes it easy to share. You'll still enjoy those great crunchy treats though—bacon and croutons take the stage together. Bake the croutons and bacon on the same baking sheet, and they'll share some wonderful flavors. Consider this a quick-fix supper because it only takes 20 minutes to put together. Skip the store-bought dressing and make your own—this buttermilk blend will really surprise you with its richness. Top this creation with the wonder of locally grown tomatoes and this is a simple, seasonal delight. In the words of one online reviewer, think of this salad as just the thing for a warm evening meal. You'll want some crusty bread—a lot of it—to soak up all the delicious tomato juices from this salad. What's even better is that this salad is chock full of chicken. Sliced red onion brings in just a touch of spice. It's all topped with a vinaigrette of white wine vinegar, olive oil, and beautiful, fresh herbs. If you're craving this salad, but can't find heirloom tomatoes, don't worry. You can substitute any ripe tomato and this will still be just as good. This recipe makes a flavorful Tomato Vinaigrette for adding to all types of salads. Roughly chopped tomatoes, shallot, garlic, and fresh herbs all come together with olive oil and red wine vinegar to create a marinated mélange of tomato delight. Be sure to serve this immediately—not that you will be able to resist. We love our Marinated Tomatoes tossed with spaghetti and mozzarella in our Spaghetti with Marinated Tomatoes and Mozzarella recipe, or used as a garnish in a Bloody Mary. Trust us, you won't run out of ways to serve these pretty little tomatoes. Fried green tomatoes are a Southern delicacy. In fact, they're so well known they appear in the title of a well-known book. Add this recipe to your repertoire for a no-fail crowd pleaser that will be a winner with friends and family no matter what the occasion. You'll want to fry these until they're golden brown and crispy. When you're looking for a more powerful flavor in the dressing, substitute blue cheese for the feta. Whatever you do, don't skimp when it comes to the dill—you'll love the fresh flavor. These are called stacks, but you could just as easily think of these as crispy eggplant sandwiches. However you imagine them, they taste delicious. Fried slices of eggplant—with a crispy Panko-breadcrumb crust—get smothered in baked provolone, tomato, and basil, and then topped with yet another delicious slice of fried eggplant. How mouthwateringly delicious is that? If you want something even more substantial, consider adding a few slices of bacon or prosciutto just before putting these into the oven to bake. This will create an even more savory meal. One online reviewer put it simply: "This was delicious!" You'll savor every bite of this dish, which combines the crisp crunch of cooked ham with the al dente deliciousness of cavatappi pasta. This shape of pasta is a tube with a hole in the center, shaped like a corkscrew. It is great for grabbing and absorbing sauce, so it is perfect for this recipe. When preparing this, start by adding in half the vinaigrette first. Cooked pasta can absorb dressing as it sits, so you'll want to add in the rest of the dressing just before serving so you get a last-minute burst of flavor. This is a great summertime grab-and-go finger food. Few fruits and vegetables say summer more than tomatoes and watermelon, and the feta cheese adds in just the right amount of salty creaminess. No time for skewers? You can still enjoy this delicious delight. Just gently toss the ingredients in a salad bowl, or dice the tomato, watermelon, and cheese into small cubes to serve as a fresh relish for grilled meats. And the extra hit of freshness that you can't quite put your finger on? That's the taste of fresh mint, bringing in just a little sharpness and more fresh sweetness to this treat. Green Tomato Mayonnaise brings just the right amount of fresh, herby bite to anything you would like to spoon or spread it on. It gets a little heat from Dijon mustard, and a little creaminess from mayonnaise. The trick here is to cut the basil into strips instead of chopping it too finely. This is a fabulous new way to add even more tomato flavor to a great burger. You'll love it on these smoky ground chuck delights that have just a touch of Worcestershire sauce. Try the tangy, chunky mayo on fish sandwiches and crab cakes too. This soup could just as easily be called spicy soup with green tomatoes since it has the zesty flavors of poblano and jalapeño peppers, as well as black pepper and minced garlic. The green tomatoes keep this dish tart, and the hot sauce adds even more edge. What keeps everything cool—apart from the beautiful, fresh herbs that are stirred in just as the soup comes off the stovetop—is the delicious Lump Crabmeat Salad. You can make this vibrant, peppery soup and easy crab salad up to a day ahead, and then stash them in the fridge to chill. This clever take on beloved thumbprint cookies is sweet and savory. It adds in a truly Southern fixing—yellow cornmeal—with the remaining ingredients to create a cookie that is perfect for every occasion. The Tomato Jam—you've got to fill that thumbprint with something—is spicy with tomatoes, apple cider vinegar, and ginger, and sweet with orange juice and orange zest. Put the two tastes together and you have an unexpected delight. What's even better is that refrigerated dough keeps for days, and the baked cookies freeze well, so you can prepare as much, and as far, in advance as you like. There's no suffering with this Classic Succotash—it's quick, easy, and delicious. Succotash is hearty enough to be not only a light entrée but also a blue-ribbon accompaniment to fish, fried chicken, or grilled pork chops. This recipe brings together some of our favorite Southern vegetables, including lima beans, corn, cherry tomatoes, and sweet onion. You'll want to throw in some crumbled bacon because that simply makes it more delicious. Fresh herbs, including chopped fresh dill and chopped fresh chives, finish this off. You'll enjoy this Classic Succotash—it is full-flavored and filling. This is a gorgeous approach to an open-face Texas Toast Tomato Sandwich. You can easily and simply make a meal of Texas Toast by topping it with heirloom tomatoes, fresh basil, and blue cheese vinaigrette. A few pounds of heirloom tomatoes, and some bottled blue cheese vinaigrette, are the basics for this simple sandwich. Top these delicious creations with a little crumbled blue cheese and some fresh basil leaves and these Texas Toast Tomato Sandwiches are delicious delights. Many of our online reviewers have found this to be a five-star favorite. Try it for yourself and you'll see why they rate it so highly. Reinvent the fruit cocktail with hot pepper jelly, watermelon, peaches, herbs, and tomatoes. The hot pepper jelly, lime zest, lime juice, watermelon, and peaches form the foundation for a fantastic salsa that really adds spice to these baby heirloom tomatoes. A little salt and pepper also brings out the subtleties of the tomatoes' flavors. 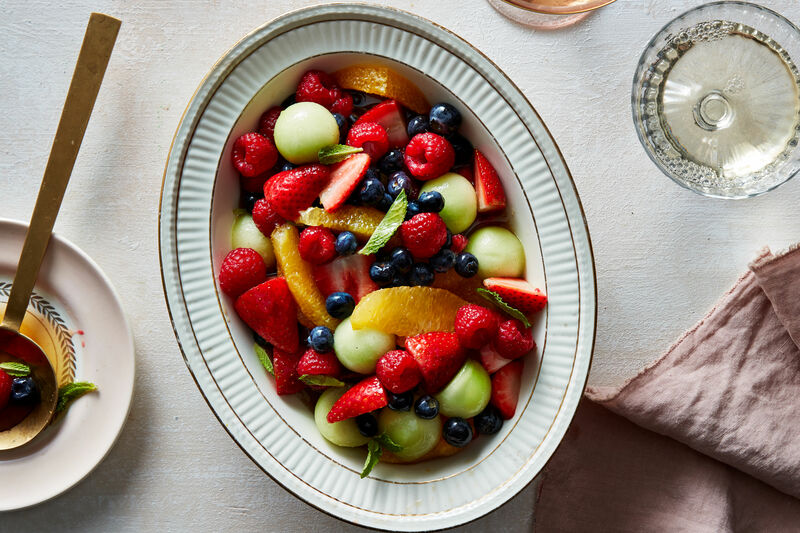 This is a great way to bring the sweet and savory tastes of the season together in a simple fruit salad. And, this definitely isn't the fruit salad you probably had when you were growing up. 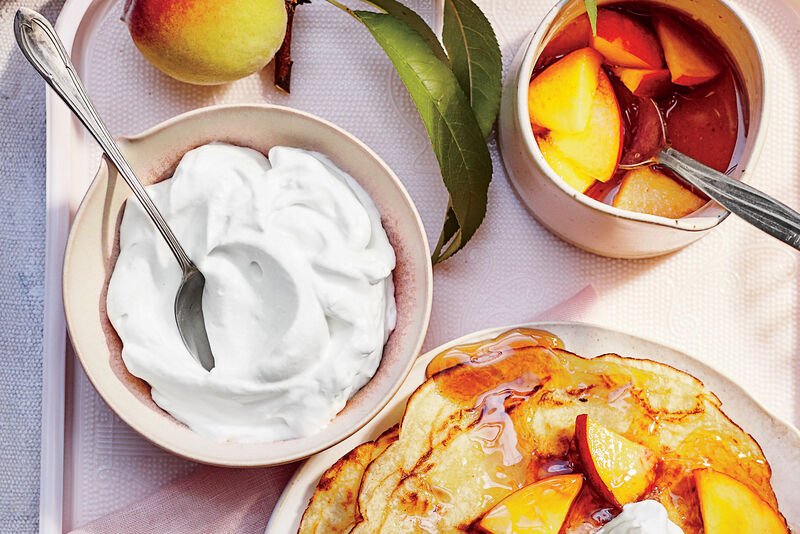 This new twist on that old classic will turn this dish into your new family fruit-salad tradition. Packaged refrigerated tortellini can be a great time-saver in the kitchen, and this recipe takes them from everyday to amazing with just a few simple add-ins. Fresh heirloom tomatoes help create a pasta salad packed with green onions, fresh herbs, and a vinaigrette. Freshly grated Parmesan cheese adds in just the right amount of saltiness to the vinaigrette, as do lemon juice, garlic, and Worcestershire sauce. The crunch of fresh corn kernels is entirely unexpected, but you will savor their flavor and texture, and they pair well with the creaminess of the tortellini. This salad is a summer wonder, and it works well as a quick fix supper. Try one today. Fire up the grill for these colorful kabobs featuring red and yellow tomatoes. You'll love their flavor, especially after they've been lightly charred on the grill since the heat will bring out all of their natural sugars and give them just the perfect amount of delicate sweetness. 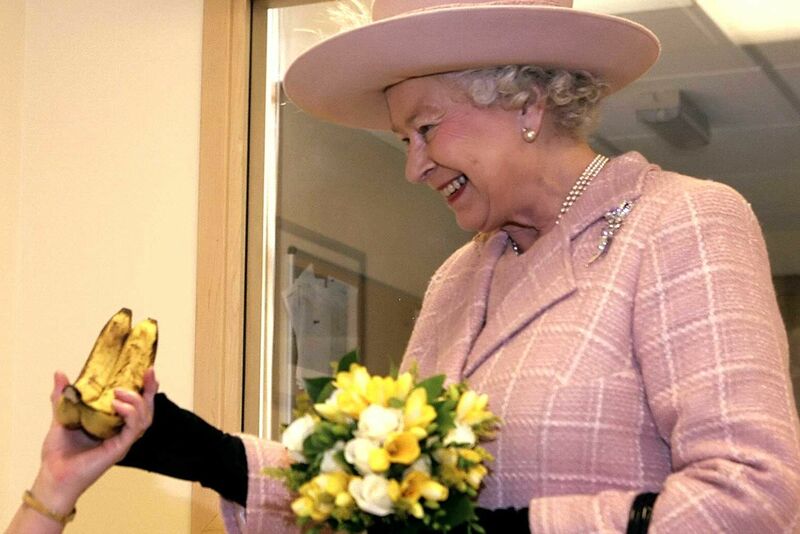 You may not have expected that. You'll want to drizzle Basil Vinaigrette over the tomato halves just before serving for added flavor and zest. This side dish pairs well with a whole range of dishes including grilled chicken or fish. Our readers' responses are simple and direct. In their words, "This is terrific." This dish works particularly well with packaged diced cooked ham, which will make this dish hale and hearty. We don't suggest using deli ham due to the moisture content. By sautéing the ham with green onions, you add in extra flavors that are rich with spice and bite. Brushing the pie shell with Dijon mustard also adds in a little extra heat. Use a traditional 9-inch pie shell, not a deep-dish. There's no need to thaw the crust before assembling. Serve this with a side of tomato slices, and a piece of Ham-and-Tomato Pie becomes the perfect dinner. Peach and basil are a refreshing summer duo that can pair well with many other summer favorites. Whisk these two together with brown sugar, balsamic vinegar, and olive oil to get this delicious topping that you can add to a summer salad, grilled meats, or other summer fruits. Online reviewers say this vinaigrette is also great over a spinach salad. Try this juicy summer peach vinaigrette over a colorful variety of fresh tomatoes from the local farmers market. There’s no cook time, so this recipe can be whipped up quickly for lunch, or mix up a large batch to use with a quick-fix supper. Imagine the possibilities! You'll be encouraging your guests to eat as soon as this delicious dish hits the table. This simple linguine pasta incorporates canned petite-diced tomatoes, chopped yellow tomatoes and gremolata, an Italian herb condiment featuring parsley, garlic and lemon zest. The sauce only has to simmer for ten minutes, so you can get a side salad ready while this is on the stovetop. What's even better is that the pasta and sauce are tossed together, giving each serving the perfect combination of fresh flavors and al dente pasta texture in every single bite. If you can't find yellow tomatoes, yellow grape or cherry tomatoes, or a red tomato, can work just as well. However it comes to the table, you will savor every mouthful. The crunch of fresh crostini makes for a great party taste, and you'll be the hostess with the mostess by preparing this beautiful and delicious crostini recipe that is an easy and elegant appetizer for any occasion. You can even prepare the tomato topping up to two days ahead; cover and store in the refrigerator. Toast bread slices one day ahead; store at room temperature in an airtight container. You'll love the taste of the tomatoes and the salty bite of the creamy and crumbly feta cheese. You can substitute a green tomato for the red tomato if you prefer. It will be just as delicious, and you will still be the perfect hostess. For this savory sandwich, hard-cooked eggs and fresh tomato slices are set atop pieces of toast making for an open-faced delight. This recipe mixes it up by using a variety of toasted white and whole wheat bread rounds. These work wonders on a party-planning menu, so serve these quick and easy finger sandwiches at your next summer gathering. Don't forget the delicious ranch cream cheese spread; it gives the sandwiches that spicy something extra. It's the horseradish sauce—it brings a little heat without being too overwhelming. Top these with some fresh dill and a little cracked pepper for the ultimate tastes of summer. This simple recipe brings together the fresh taste of tomatoes with the savory-salty flavors of feta cheese and Italian dressing. First delicately seasoned with salt and pepper, topped with feta cheese, then liberally doused with Italian dressing, these treats are popped under the broiler for a few minutes to emerge with the cheese lightly browned and the tomatoes warmed. Readers describe this dish as "delicious" and remark that it is easy to make and "a great side dish with any pasta!" Follow their recommendations and get this simple dish on your dinner table today. This fantastic recipe comes from Crook's Corner Café & Bar in Chapel Hill, North Carolina. It blends the sweet taste of fresh watermelon with the sweet-and-savory flavors of ripe tomatoes. This recipe could not be simpler. In the end it only requires five ingredients, and a sixth—salt—is optional. Enjoy a few scoops of this for a genuine taste of the South in the summer. Enjoying this sweet frozen treat is a given—savoring every bite with a little salt sprinkled on top is up to you. To give you an idea of how much Southern Living readers love this recipe, one remarked that she had made it so many times "that I actually purchased a gorgeous square ceramic cake stand to serve it on." That is definitely passion for both presentation and taste. Store-bought refrigerated piecrusts make this recipe easy to make from the start. The baked garlic, spread over the bottom of the crust, will give you an incredible flavor to savor. Serve this Tomato Tart cut into bite-sized pieces for the perfect party appetizer, or keep it in larger slices and pair it with a green salad for a meal. This is definitely a delicious quick-fix supper. The mahi-mahi and tomatoes can be done in less than 20 minutes. The cooked-to-perfection broiled fish—it is done when you can flake it with a fork—is served on a bed of onion-and-tomato mixture. This rich and bold sauce gets seasoned with chopped fresh parsley, white wine, and chopped garlic. Fresh and hot out of the oven, you can top this incredible dish with crumbles of salty, crumbled feta cheese, then garnish the mahi-mahi fillets with a few lemon slices. This Broiled Mahi-Mahi with Parsleyed Tomatoes is simply a delight, and an easy way to get fish on the dinner table. You can't get much more Southern than fried green tomatoes, and this recipe pairs them with an incredible bread-and-butter pickle rémoulade. Think of rémoulade as basically a mayo-and-mustard sauce. This one is seasoned with all sorts of great flavors including hot sauce, and filé powder, and is filled with chopped fresh parsley and chopped fresh chives. The fried green tomatoes are bathed in buttermilk before being coated in cornmeal, Creole seasoning, and flour. Then, get them into that cast-iron skillet and they're ready to go! Recipe developer Linton Hopkins prefers to fry in peanut oil because of its higher smoke point. You'll love the way these taste. This recipe keeps it simple with a few savory ingredients. Tangy feta cheese pairs perfectly with the sweetness of chopped tomatoes, and some oil-cured ripe black olives add in a little richness to this flavorful side salad. What you'll love about this salad is the chunks of feta—they're bold, and they add creaminess to every tomato-filled bite. You can make this salad up to two days in advance, so it can be ready when you are. If you do make this salad ahead, you'll want to add in an extra chopped tomato just before you serve it. This salad brings together some of the great tastes of summer—tomatoes and sweet onions, with some of our other favorite tastes. One of these is bacon, because it adds a delicious smokiness to any dish. We even sauté the onions in bacon drippings to bring in a little more of their distinctive flavor. To make this Summer Garden Pie rich and creamy, it combines sharp Cheddar cheese and mayonnaise, and then adds in Parmesan cheese and breadcrumbs on top. Our readers agree that this recipe deserves very high marks and is easy to make. One even remarked that since tomatoes are so plentiful in the South, this is a wonderful way you can use them. These mini-sandwiches make fantastic finger foods for a luncheon, or simply assemble one anytime for a quick snack. To make preparation simple, we've used ready-to-serve bacon that you simply have to heat according to the package directions. Using basil rather than lettuce gives this traditional sandwich favorite a fresh twist. And no, you won't miss that distinctive iceberg lettuce crunch. Instead, you will marvel at the spicy flavors of the basil and how well it blends with the smokiness of the bacon, the sweetness of the tomatoes, and the salty bite of the Parmesan-garlic mayonnaise spread. These Mini Bacon, Tomato, and Basil Sandwiches will be your new instant classics. You'll want to use a tried-and-true Southern favorite—the sweet Vidalia onion—to really bring out the subtle flavors of this recipe. Pairing the onions with the tomatoes brings together the perfect blend of spicy-yet-sweet, and this subtle pairing is continued through the remainder of the ingredients. The balsamic vinaigrette adds in a little more of it, adding some tartness and some sugar-sweetness, as well as just a little pepper. What is perfect about this recipe is it simple, fresh crunch. The tomatoes and the onions are classic summer tastes, and each is a beautiful example of raw produce. Get yours fresh from the farmers' market and you will savor every single bite of this Tomato-and-Onion Salad. Grits is definitely a Southern dish, and while it may be an acquired taste, there is no doubt that grits tastes great. This twist on classic grits makes it even better, adding in chopped sliced bacon, chicken broth, tomatoes, and chopped green chiles. The bacon means that these grits will be rich, deep, seasoned, and smoky. Everything else gets cooked in their drippings, so what else would you expect? Add in the green chiles and these become a spicy delight. Top it off with crumbles of that crunchy bacon and you have the tomato-filled, cheesy, hot, crunchy, delectable dish we call Hot Tomato Grits. Get some. Fans of the original will love the lightened version of this famous Kentucky sandwich. This new twist on the bluegrass-state classic features our delicious Parmesan Cheese Sauce and gets topped with freshly sliced plum tomatoes. To lighten it up, we've used reduced-fat bacon slices. 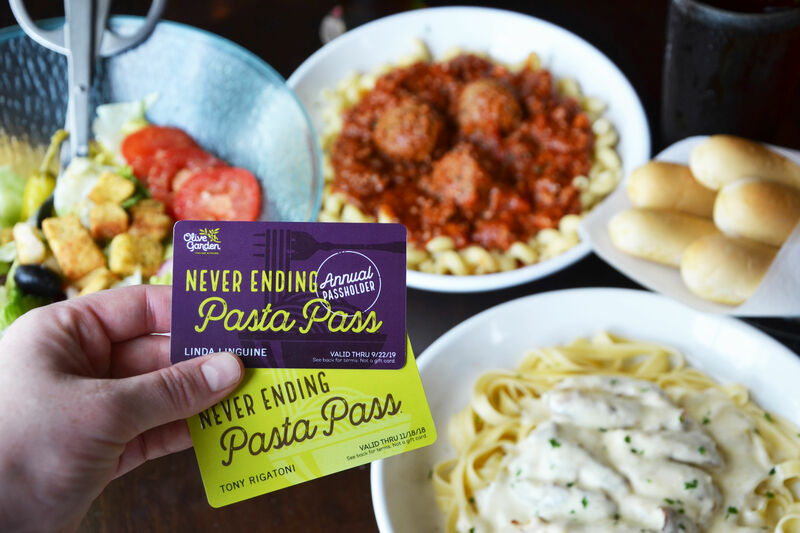 You'll still savor every delicious bite. And, since Hot Browns will be your new favorite sandwich, be sure to try our Club-Style or Southwestern options listed in the recipe as well. You'll still get that delicious crumbled bacon and the great taste of the fresh plum tomatoes in every single bite. For this light pasta recipe, we've combined crisp flavors including fresh mint, cilantro, chopped tomatoes, cucumber, and green onion into a vegetable delight. We’ve also used whole grain spaghetti, which gives this dish a rich and earthy flavor that you will love. Combined with rice vinegar, this dish has Asian-inspired influences, so you may wish to top it with some crushed peanuts. It works well either hot or cold, so you can have it on the table immediately or prepare it up to a day ahead. This also works wonderfully as a quick fix supper, since you can add in cooked chicken or shrimp for a one-dish dinner. Or, simply serve it alone as a side dish and enjoy its spicy and savory fresh flavors. 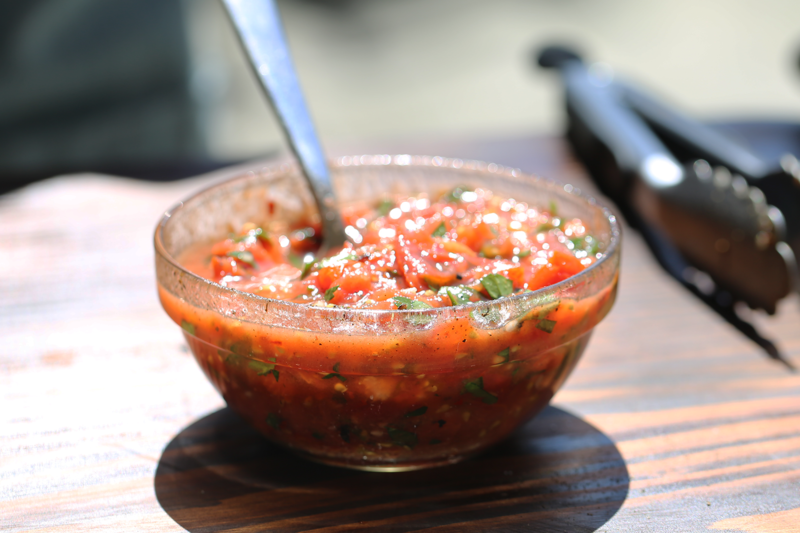 Pico de Gallo is a classic Mexican condiment made of fresh ingredients including tomatoes and onions. It also contains chile peppers, but you have your choice of using either jalapeños or serranos. Everything is cut to the same size to create a beautiful presentation. You'll love the way the sharp white onion contrasts with the sweet flavors of the tomatoes, and how the spicy pepper brings out just the right amount of heat. Our pico de gallo adds in diced avocado for added flavor and nutrition, and it also adds in a little creaminess that cuts the chile bite. Pile this versatile topping on top of Tortilla Crusted Pork, tacos, omelets and more. Think of this as a Southern stir-fry while you're piling all these delicious summer vegetables together in one skillet. 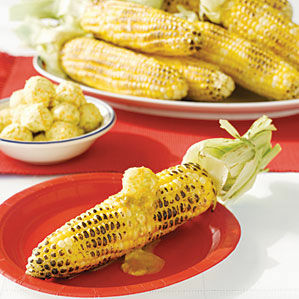 In fact, you'll be able to complete your ultimate grilling menu with this easy veggie side that is absolutely perfect for summertime. Add in just the right amount of flavor by mixing chicken bouillon seasonings and lime juice with the veggies. One reader described this skillet dish as akin to gumbo, and having a "wonderful flavor and texture." She also mentioned that it goes great with gumbo, and we'd have to say we agree! So get that skillet going and pan-fry some vegetables. These will be simply delicious. A gazpacho is a cold soup, and this recipe brings together all the great flavors of summer in a single bowl for when you want to chill out and cool down. The mango, cantaloupe, honeydew melon, and peaches, along with the cucumbers, give the gazpacho a sweet spin. Its base is a combination of orange juice and a little lemon juice, so this combines the delicious taste of citrus with just a subtle hint of tart bite. You'll get some sharp tastes from the sweet onion, and don’t seed the jalapeño if you like a soup with more zip. If time permits, prepare the day before to allow the flavors to develop fully. This recipe starts with the delicious taste of grilled pork tenderloins, so you know that it is going to be good. The pork is cooked in a rub that is a perfect combination of brown sugar, pepper, spices, and herbs. The beauty of this effortless recipe is that you don't even have to heat up your stove; simply slice and serve the pork cold or at room temperature. The salad goes right on top, and gets drizzled with a simple balsamic vinaigrette. What could be easier? You will love the combination of sweet-and-spicy flavors that the vinaigrette brings to the pork—each enhances every bite of the beautiful pork tenderloin. Whether eaten at a white tablecloth spot or over the kitchen sink, this is the sandwich we wait for all year. But you don’t have to wait at all, because you can whip this sandwich up in your kitchen any time you like. This version of the BLT uses heirloom or beefsteak tomatoes to add some bold tomato flavor to this toasted-bread wonder. The bread itself—we suggest artisan sourdough—gets brushed with butter and cooked in a skillet until it is a beautiful golden brown. Then, slather on the mayo mixture, pile it high with tomatoes, bacon, arugula, and bacon. 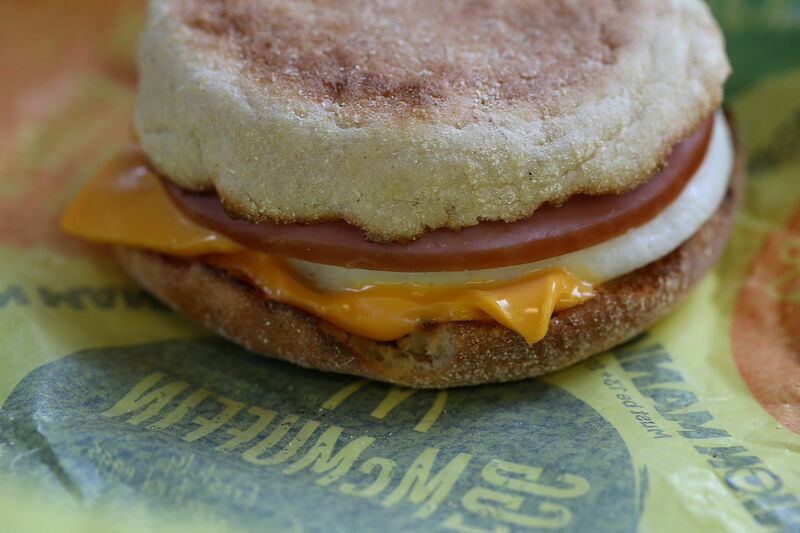 You'll hardly be able to wait for that first bite. And yes, this sandwich definitely is an Over-the-Top Tomato Sandwich. Think of this as what you want to have when the usual toppings like ketchup or mustard just won't do. Instead, this is a blend of grape tomatoes, garlic, and shallots, combined with oil and vinegar, then seasoned with herbs and spices including dried red pepper, thyme, and basil. You'll want to heat the garlic and shallots a little first to really release their flavors, but once that is done, and they're cooled, this recipe is ready to put together. These Marinated Tomatoes travel well, and they are perfect for spooning over grilled fish, chicken, or steak, or tossing with pasta. This is a great way to pickle some tomatoes that you would like to use over the next few weeks, or for when you want the taste and flavors of pickled tomatoes without having to put up a whole batch. Use a mixture of baby tomatoes such as 'Sweet 100,' 'Yellow Pear,' or 'Sun Gold'—all are available at farmers' markets in summer months. This dish uses 3 pints of tomatoes, but feel free to halve the recipe. If you want to add a little extra spice to your pickled tomatoes, you can peel and slice some fresh ginger, and add it in with the other ingredients while you are preparing your pickling spice. With or without the ginger, keep these in an airtight container in the refrigerator and these Pickled Tiny Tomatoes will taste great for up to two weeks. A caprese salad is a classic Italian dish, and this recipe is a twist on the classic. It not only adds a rich, tart dressing, but in truly Southern fashion it also brings bacon into the mix. For this smoky delight, you literally sauté the bacon, then create a vinaigrette in the skillet. This includes the bacon and its drippings, resulting in a warm, wonderful, and tart delight. Once everything is warmed, the vinaigrette is drizzled over the caprese salad, creating unique flavors for this heirloom tomato-and-cheese wonder. We raised the ante on classic tomato pie with a sour cream crust studded with bacon, layers of colorful tomatoes, and plenty of cheese and herbs to tie it all together. You'll love the flavor and texture of this incredible handmade crust simply because it already includes the tastes of crunchy bacon and the richness of the sour cream. The pie filling is sharp with the saltiness of Parmigianno-Reggiano cheese, and the bite of extra-sharp Cheddar cheese. For best results, we suggest that you seed the tomatoes and drain the slices before baking. This pie needs to stand for an hour or two before serving, so be sure to plan this menu well in advance. Two pounds of large shrimp, cooked to perfection on the grill, bring a sweet richness to this salad. Toss them with a vinaigrette filled with fresh herbs, and it will only enhance their delicate flavor and subtle smokiness. The tomatoes add a little sweetness to this salad, so be sure to choose those that are fresh and ripe. Look for beautiful and tasty heirloom tomatoes in a rainbow of colors at your local farmers' market, and keep them at room temperature until you're ready to slice and serve them. The same vinaigrette that seasons the shrimp also makes the tomatoes tart yet delicate. Tomato Salad with Grilled Shrimp is a great fresh take on seasonal seafood. If you were planning a classic Southern meal, you would want to include the fantastic flavors of black-eyed peas and fried green tomatoes. This recipe brings those two delicious tastes together. Cooked in an aromatic broth with ham hocks and beer (although you can substitute chicken broth, if desired), these Mexican-inspired peas are as delicious on their own as they are with fried green tomatoes or grilled steak. The secret ingredients here are the can of chipotle peppers in adobo sauce, and a little ground chipotle chile powder. They add in just the right amount of heat, without being too spicy. This forms a great bed for crunchy fried green tomatoes covered in creamy feta cheese. Spicy, crunchy, and creamy textures, and fresh, spicy tastes, mean wonderful tastes with every delicious bite.